The LED screen is located in the Golden Point Food Court Ipoh. 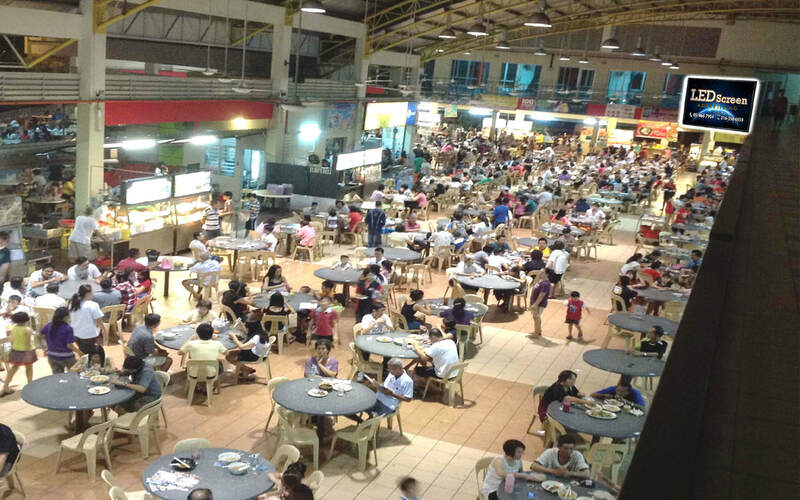 There are a lot of people who going for lunch or dinner at the Food Court will definately notice the bright and big LED screen inside the Food Court. The LED screen advertising can be more effective due to the high human traffic in the food court.